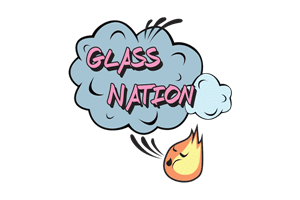 Glass Nation brings the fire with the best glass bubblers for sale online. A glass bubbler is a bit different than a silicone bubbler or pipe made out of some other material. Glass provides a high end look and feel. Having a glass bubbler in your pipe arsenal is going to amp things up. All glass pipes are made by some human being’s hands. There is not glass pipe manufacturing machine, yet… Every pipe thats made is some kind of work of art: even if it is some sort of production piece. There is a spectrum to art. Everything from ultra unique bubblers to super cheap bubbler pipes.